The hospital has already been established a telemedicine/integration system for their 5 ORs. 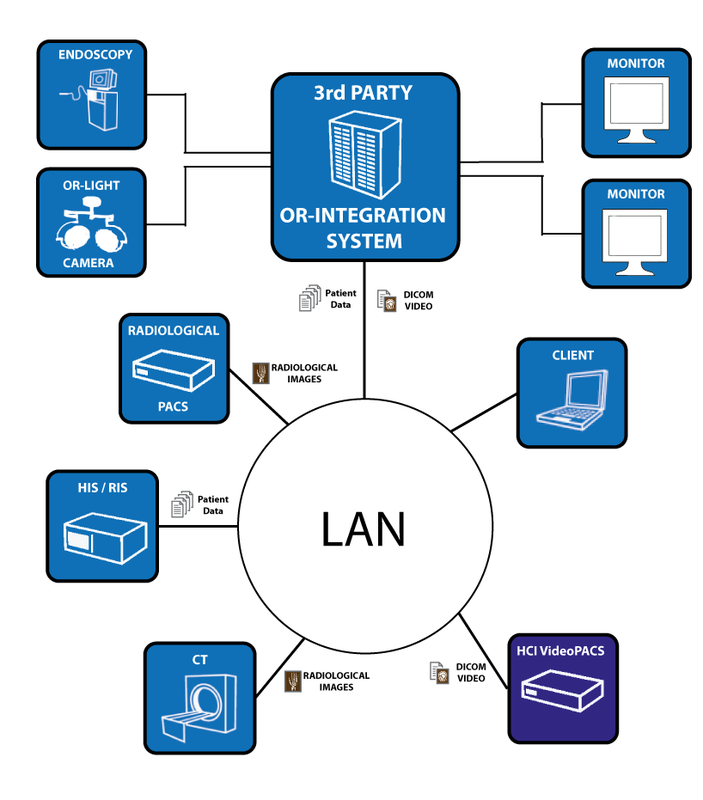 The system is able to receive the scheduled patient list via DICOM-worklist and store recorded images and videos in DICOM-format to the existing PACS system. Unfortunately the PACS system is been used on a rental base. this means the hospital has to pay for every image which will be transfered to the PACS system. Since the recorded videos will be recorded in HD-quality (1280x720), they will take a lot of disc-space and cause an additional fee which have to be payed for storing them on the existing PACS server. HCI is offering a special Video PACS server which is designed to receive the generated images and videos and storing them in DICOM-Format. The server's user interface can be linked with the exisiting HIS system, so that the recorded images and videos can be retrieved within the HIS-client.